Jaguar Love Free In-Store at Looney Tunes! 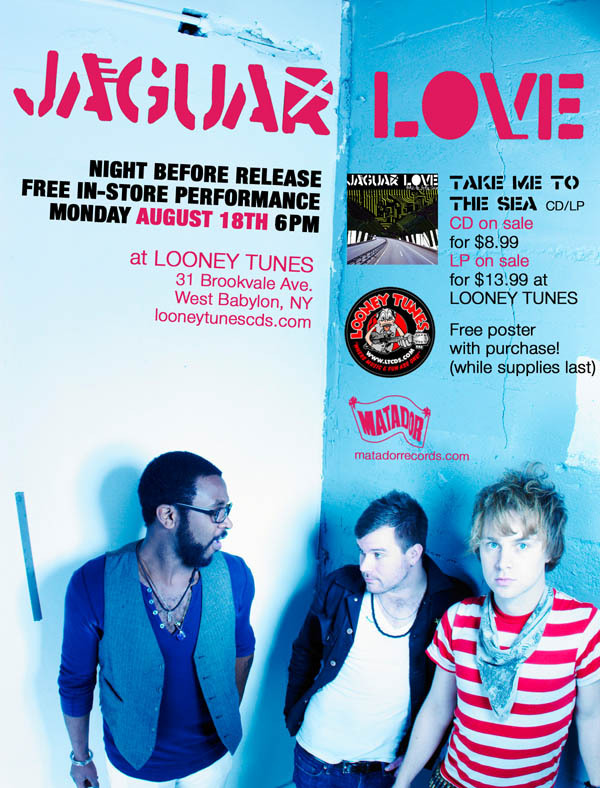 Jaguar Love will play a night before release in-store at Looney Tunes in West Babylon, NY this Monday, August 18th! Buy the new album Take Me To The Sea and get a free Jaguar Love Poster!